Attractive fine grey phyllodes on this Great Sandy Desert species, with yellow globular flower heads. 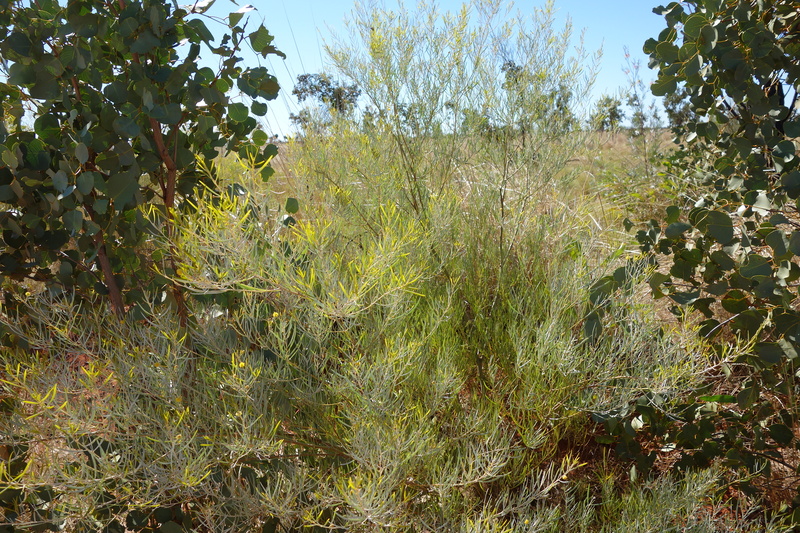 This entry was posted in Acacia and tagged Acacia balsamea. Bookmark the permalink.